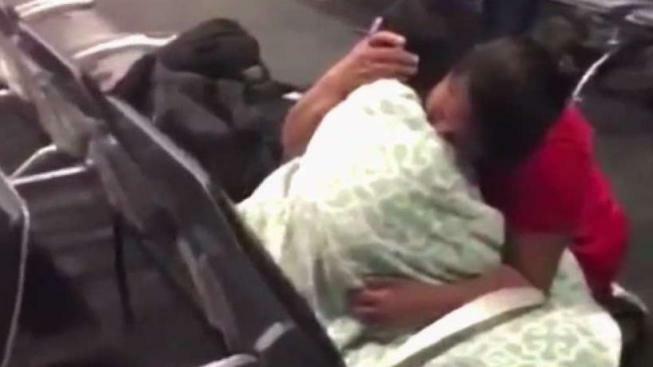 A 7-year-old boy and his migrant mother were reunited at BWI airport early Friday after they were separated a month ago after they crossed the border. News4's Erika Gonzalez shows the emotional moment they were together again. Beata Mariana de Jesus Mejia-Mejia was reunited with her son, Darwin, weeks after being separated after crossing the border. Through tears, the mother, Beata Mariana de Jesus Mejia-Mejia, told her son Darwin again and again that she loved him. "Te amo, te amo, te amo," she said as she hugged him. Mejia-Mejia had filed for political asylum after crossing the border with her son, following a trek from Guatemala. She alleges border agents took her son two days after they crossed the U.S. border near San Luis, Arizona, on May 19. She filed a lawsuit against the Trump administration on Tuesday in an effort to find him. The lawsuit says her son was "screaming and crying" when border agents took him from her and cried "Mama!" repeatedly the one time she was allowed to speak to him by phone. She said she started crying when the two were reunited and that she's never going to be away from him again. Just before they left the airport, Mejia-Mejia had a message for other parents in her shoes. "They can fight the way I did. They have to fight to be freed, and fight for their kids," she said in Spanish.